Elise thought starting her life over in San Diego would mean writing at the beach and rendezvousing with sun kissed surfer gods. But once she arrived at the ill-named Casa de Paradiso, the California dreaming turned into a nightmare. She’d moved into Justine’s apartment, miles from the ocean, but unfortunately, Justine’s rocker boyfriend has moved in too and he isn’t kicking in a penny. 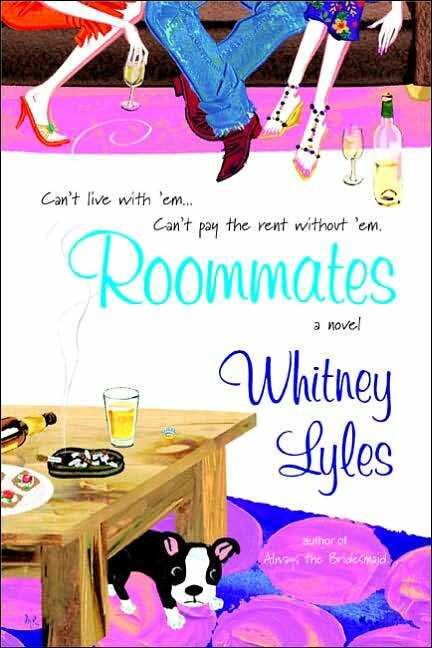 Excluding her family, Whitney Lyles has lived with over a dozen roommates, most of whom she still keeps in touch with. Perhaps the most interesting roommate situation she’s ever been exposed to was her husband’s. A former guitarist, he lived with a rock band for ten years. The tales from those days are far too wild for any books she would write.